This holiday season marks the 20th anniversary of Fantasy in Lights® — named one of the top 48 events in the world by the Chicago Tribune — at Callaway Gardens, a 13,000-acre destination south of Atlanta. Fantasy in Lights features 8 million lights stretching more than five miles, creating 14 larger-than-life holiday scenes. As the most spectacular holiday light and sound show in the South, Fantasy in Lights at Callaway Gardens sets Pine Mountain, Ga., ablaze from November 18 through December 30, 2011. Advance ticket prices range from $16 to $22 for adults and $8 to $11 for children, with children 5 and younger always admitted for free. Visitors experience the light and sound extravaganza on the “Jolly Trolley” or by driving through the lighted scenes in their personal vehicle. 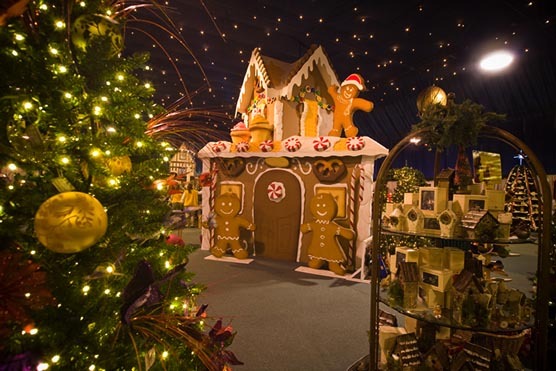 The sparkling, animated displays include Snowflake Valley, a winter wonderland filled with enormous snowflakes and thousands of white lights; Magical Christmas Garden with a 24-foot wreath entrance; and Santa’s Workshop, showcasing animated versions of Santa’s elves busy making toys for the big night. Two “don’t miss” scenes are on Robin Lake Beach and are both narrated, ’Twas the Night Before Christmas and The Nativity. They each last about 10 minutes. Ninety-nine percent of the frames used to create the scenes in Fantasy in Lights are custom designed and built just for Callaway Gardens, taking 3,900 man-hours to install. 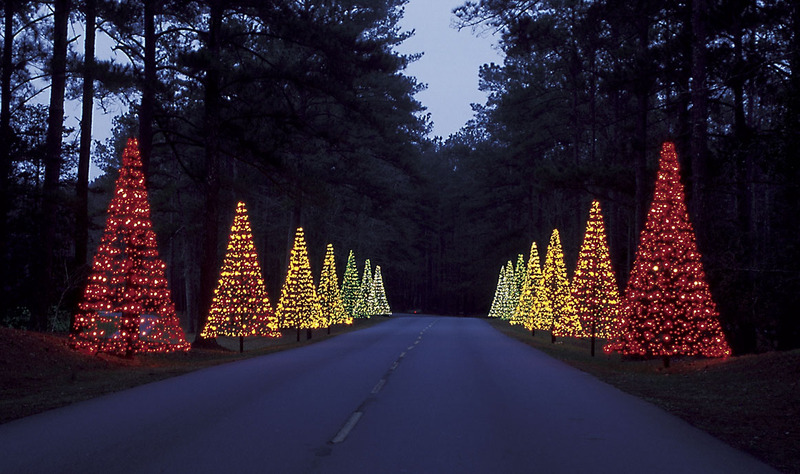 In keeping with Callaway Gardens’ mission of connecting man and nature, every kilowatt of power used to light up Fantasy In Lights is compensated with “green” power. The first destination in the Southeast to offset 100 percent of its electricity use by purchasing wind power credits. 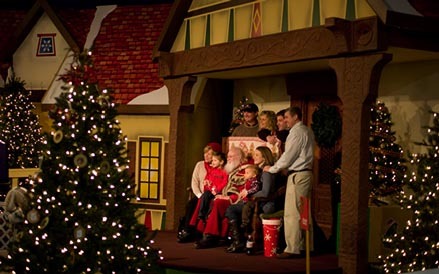 Families experience the Christmas Village, a 22,000 square-foot indoor, heated area featuring opportunities to visit Santa and other holiday characters. Inside the Village, guests have the opportunity to shop for specialty food items from the Callaway Gardens Country Store®, unique gifts, nostalgic toys from simpler times and an assortment of holiday ornaments. An array of Georgia crafters are on hand making and selling their wares. 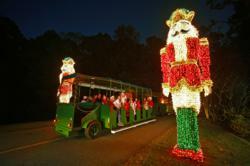 The American Bus Association has again selected Fantasy In Lights at Callaway Gardens as a “Top 100 Events in North America” for 2011. Fantasy In Lights also has been recognized numerous times by the Southeast Tourism Society (STS) as one of the Top 20 Events in the Southeast and by America’s Best and Top Ten as one of the Top Three Light Shows in America. Admission to the world-class Gardens and its many attractions including the Day Butterfly Center, Sibley Horticultural Center, Callaway Discovery Center, live Birds of Prey Shows, seven miles of nature trails and our 10-mile Discovery Bicycle Trail. Additional package options include breakfast and a 2011 commemorative Fantasy In Lights ornament. Callaway Gardens’ central location in the Southeastern United States and convenient location to Hartsfield International Airport make it a unique and accommodating location for family gatherings, corporate holiday outings and more. Fantasy In Lights packages in the more spacious Southern Pine Cottages (sleep up to eight) and Mountain Creek Villas (sleep up to 16) are available as well. Callaway Gardens®, is in Pine Mountain, Ga., 60 minutes southwest of Atlanta and 30 minutes north of Columbus. To experience nature at its finest, call 1-800-CALLAWAY or visit http://www.callawaygardens.com. 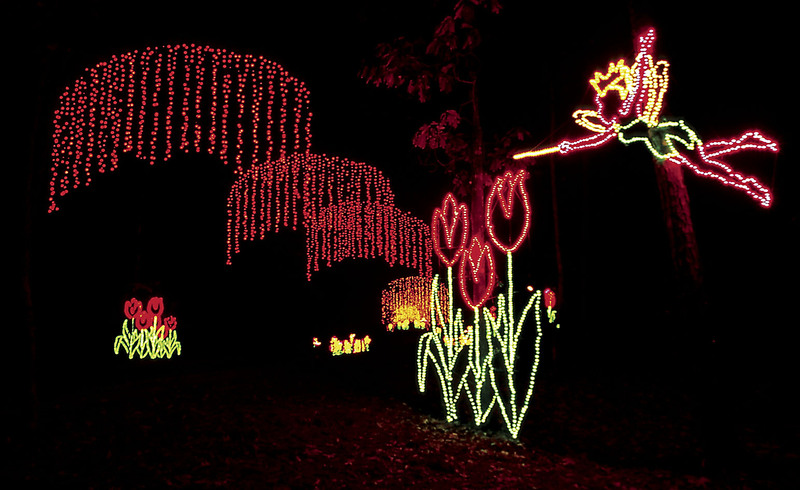 To experience the most spectacular holiday light and show in the South, visit http://www.callawaygardens.com or call 1-800-CALLAWAY (225-5292). *Based on availability. Some restrictions apply. Not applicable to groups. For almost 60 years, Callaway Gardens has provided “a place of relaxation, inspiration and a better understanding of the living world” for millions of visitors. Owned and operated by the non-profit Ida Cason Callaway Foundation, Callaway Gardens includes a garden, resort, preserve and residential community on 13,000 acres in Pine Mountain, Georgia. Highlights include a butterfly conservatory, horticultural center, discovery center, chapel, inland beach, nature trails and special events throughout the year. In addition, Callaway Gardens offers nearly 80,000 square feet of meeting space, 763 guest rooms, restaurants, shops, golf, tennis, fishing and more.